Scroll right to see the rocks, craters, and hills that were in view for the Spirit rover last week as it continued its trek across Mars. Missoula crater, taking up much of the above frame, appeared from orbit to have ejecta from Bonneville crater inside it. Upon closer inspection, however, Spirit finds only evidence for wind-blown drifts. The rocks show numerous blisters and small cavities that may have occurred as ancient water vapor evaporated from hot cooling lava. 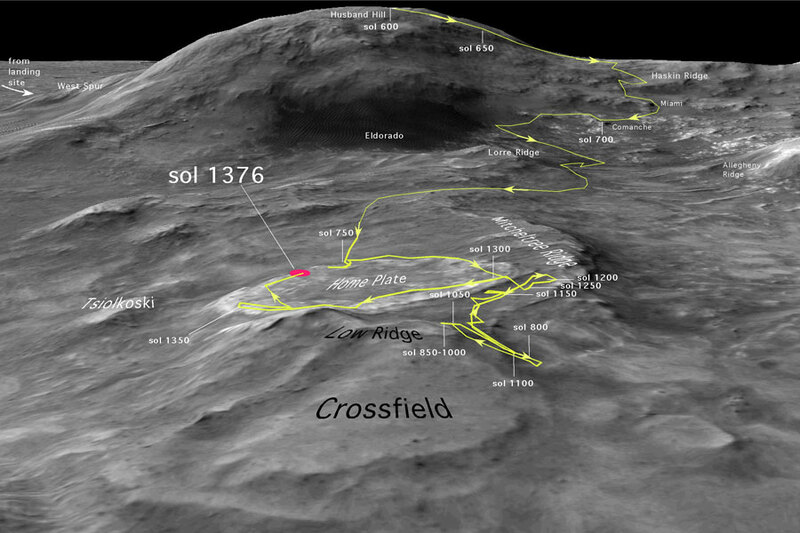 Columbia Hills in the distance is now planned as the ultimate destination for the Spirit rover. Both of the Mars rovers have now successfully completed their original mission and are now exploring topical opportunities.